My most recent article for WhatMMO had me doing some research on a new urban fantasy MMO called The Secret World. I’d heard of it before, but this was the first time I’ve really taken the time to learn about it, and I have to say, it does look interesting, for the same reason Guild Wars 2 is interesting: it’s different. Now, it’s not as revolutionary as Guild Wars 2 by any stretch of the imagination. But it’s definitely not another World of Warcraft clone, either. Funcom, the developer of TSW, sets great store by the notion that its game does not have leveling, but this is somewhat misleading. It doesn’t have leveling in the traditional sense, but you still need to get experience to acquire new skills. The interesting thing about this, though, is that The Secret World doesn’t have classes. The game’s 500+ skills — including everything from melee abilities, to gun skills, to blood magic — are all available to every character, and there’s no limit to how many you can acquire. You can only equip fourteen skills at a time (seven active and seven passive), but you can swap out those skills easily. Theoretically, this system should make for almost unlimited customization. I’ve played enough RPGs to know there’s also the risk there could be just a handful of viable builds and a legion of newbs running around with horrible hybrid specs. Still, if it delivers on its promise, it will be a truly awesome way to construct a character. Supposedly, the lack of leveling will also mean that 100% of the game’s content can be accessed almost immediately after character creation, though the harder stuff may require some very careful ability builds. Colour me skeptical, but it’s a nice dream. I’m about the biggest high fantasy fan you’re ever going to meet. I simply adore Elves, Dragons, ancient kingdoms, and the stories around them. But even I feel a bit of fatigue with the high fantasy obsession the MMO genre has, especially when most games aren’t even very original with their high fantasy settings (DragonsDragonsDragonsDragons…). So it’s interesting to me that The Secret World tosses aside high fantasy for an urban fantasy/horror hybrid story set in our own world and time. The concept of TSW is that every myth, every urban legend, every conspiracy theory ever conceived is true, and they all fit together in a secret war between hidden cabals and societies. Instead of the usual demons and Dragons, enemies are things like zombies and Lovecraft-inspired nightmare beasts. The Secret World also puts aside the traditional two faction system for a trio of playable secret societies: the noble but overzealous Templar, the ruthless and power-hungry Illuminati, and the enigmatic and unpredictable Dragons. These are based out of London, New York, and Seoul, respectively. The traditional faction model is further altered by the fact that factions are only kept separate in PvP. If you’re a PvE Templar player, you can still interact and group with Illuminati and Dragon players. Firstly, Funcom is best known for being the developer of Age of Conan: Hyborian Adventures. We all know how well that turned out. But hey, one mistake doesn’t mean they’re inevitably doomed to failure, right? Then there’s its business model. It has both a subscription fee and a cash shop, though the shop will supposedly offer only cosmetic items. Nevertheless, this is enough to drive a lot of people off — despite the fact its the same model used by the gold standard for MMOs, World of Warcraft. I’m a bit weird in that the subscription part is what’s more likely to drive me off. I simply don’t have the disposal income nor the patience to juggle two subscription MMOs at once, and no matter how burnt out on WoW I feel right now, I’m definitely not likely to give up on it any time soon. 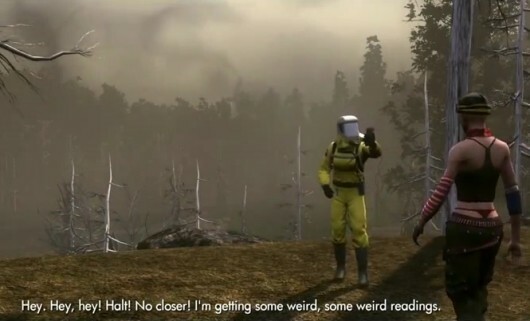 Still, I’ll at least try The Secret World once its inevitable free trial is available, and if it ever goes free to play — and, let’s face it, it will — maybe I’ll play it more seriously. If nothing else, its stirred my curiosity as a semi-pro video game journalist. We’ll know more in June, when the game goes live. You may remember me raging several months ago about missing out on the lore of the Fangs of the Father legendary chain. My rage was somewhat lessened when I learned I could complete about half the chain, but I was still disappointed I’d miss out on the last half. But now, Blizzard has tossed lore fans everywhere a bone. They have put a series of videos detailing the entire story of Wrathion and the Fangs of the Father, including all major cinematics and conversations from the chain, as well as all-new narration from Wrathion. For a lore fan like me, this is pure distilled awesomesauce. This entry was posted in Games and tagged fantasy, sci-fi, The Secret World, Warcraft, World of Warcraft by Tyler F.M. Edwards. Bookmark the permalink.